Michael Bérubé scores an exclusive blog interview with the new RNC chair. Hey American Airspacepeople, do we have a treat for you today! 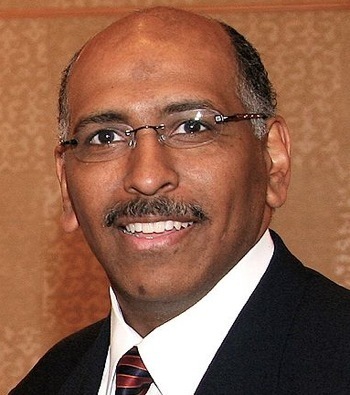 This humble but insanely ambitious blog has scored the very first blog interview with Michael Steele, the new chairman of the Republican National Committee! MB: … So can you say a few words about the new Republican agenda? You must be very excited about kicking it off. MS: I am indeed very excited. This year we’re going to take a bold new approach to governing: we’re going to vote “no” on whatever Barack Hussein Obama and the Democrat party proposes. Then we’re going to complain that Obama’s attempts at bipartisanship have failed. We’re pretty sure we’ll have the media with us on this—they’ve certainly played ball so far. MB: Um—and that’s it? Just voting no all the time and then making disingenuous complaints? Really? MS [laughing]: No, that’s not it. Those are just temporizing measures. We’re actually just biding our time and messing up his stuff until we can impeach him. MB: Impeach him? For what? I mean, don’t you have to have a reason? MS: Not necessarily. But don’t worry, we’ll think of something. Look at what we’ve got already: between Daschle and Blagojevich, Obama’s administration is the most corrupt government in American history. MB: Uh, I don’t think Blagojevich was actually. . . .